TCC has implemented the Creative Curriculum program which is in line with our philosophy and goals. "The Creative Curriculum incorporates the latest research and best practices taking the needs of every type of learner into account". 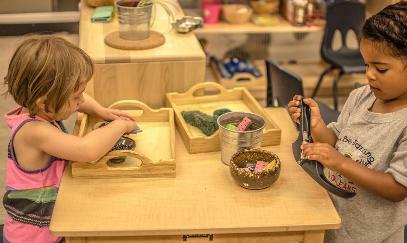 In implementing the Creative Curriculum program, interest areas in the classroom are designed within the learning environment which offers more choice for the children and incorporates a hands-on-approach to learning, discovering, and problem solving. This enables the child to become a creative and confident thinker. The children's social interactions are guided so they learn to respect people both in and out of the classroom setting. The teacher's role is to motivate, stimulate thinking, and recognize the individual learning styles and social and emotional needs of each child. We also incorporate teacher-directed activities in the classrooms and maintain a structured program which offers children a predictable routine. This also offers a better opportunity for the teachers to make observations, which assists them in completing assessments and planning the curriculum based on the children's overall development. Assessments are completed every 3 months for our infants and three times a year for our toddlers and preschoolers. Assessments are used as a tool to track each child's individual progress and to assist the staff in determining where the children are as a group. 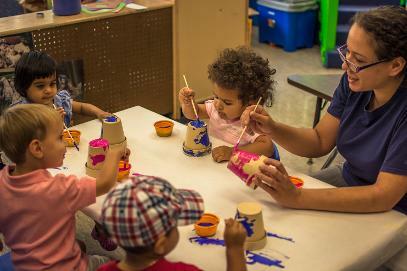 In assessing the children the center uses the Massachusetts Standards and Learning for Infants . 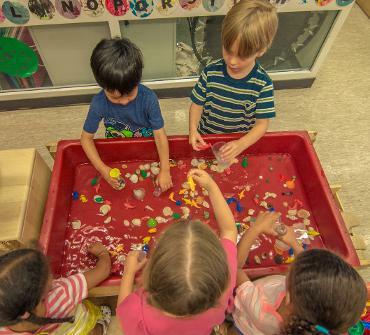 For our toddlers and preschoolers we use the Teaching Strategies Gold system which is based on research on how children learn and child development theories of Piaget, Maslow, Erkson, and Smilansky. Fully aligned with the Massachusetts Common Core Early Learning standards, there are 21 toddler goals and objectives and 50 preschool goals and objectives divided into four areas of development, which include social/emotional, physical, cognitive, and language. The Assessments are used to plan the curriculum and to support the individual development of each child. A copy of the assessment is sent home and parent conferences are held twice a year to share with the parent the child's developmental landmarks and growth over the year. Individual portfolios are maintained for each child in the classroom.